CAE today announced that CAE USA has expanded its C-130 training center located in Tampa, Florida with the addition of a new C-130H/L-382 full-mission simulator that is ready-for-training. 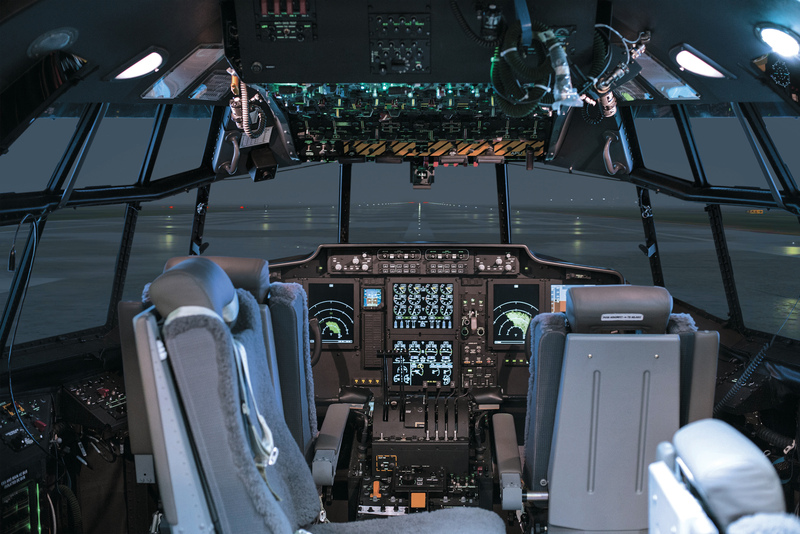 The new CAE-built simulator features the Rockwell Collins integrated Flight2 glass cockpit avionics system, which Rockwell Collins offers to global C-130 operators considering avionics modernization programs for existing C-130 Hercules aircraft. "CAE is globally recognized as a leader in delivering C-130 training systems and services, and we are continually investing to ensure we can meet the training requirements of global militaries flying the venerable C-130 Hercules aircraft," said Ray Duquette, President and General Manager, CAE USA. "The expansion of our C-130 Tampa Training Center is another example of our commitment to supporting the training needs of C-130 operators, and we are pleased to be working closely with Rockwell Collins to offer their C-130 aircraft upgrade customers a world-class training solution." The CAE-built C-130H full-mission simulator includes crew stations for the pilot, co-pilot, flight engineer and navigator. The simulator features the CAE Medallion-6000 image generator projecting an immersive and realistic synthetic environment on a 220 degree by 40 degree field-of-view display system driven by Sony liquid crystal on silicon (LCoS) projectors. Over the next year, the new C-130H/L-382 full-mission simulator is expected to be certified to Level D, the highest qualification for flight simulators. CAE's C-130 Tampa Training Center includes three C-130E/H reconfigurable full-mission simulators, as well as a C-130E/H flight training device and part-task trainers. In addition, the training center offers a suite of hands-on devices for maintenance technician training. The C-130 Tampa Training Center offers comprehensive aircrew and maintenance training in 17 multi-media classrooms to provide complete ground school and simulator training for C-130 pilots, flight engineers, loadmasters and maintenance technicians. CAE's Defense & Security business unit focuses on helping prepare our customers to develop and maintain the highest levels of mission readiness. We are a world-class training systems integrator offering a comprehensive portfolio of training centers, training services and simulation products across the air, land, sea and public safety market segments. We serve our global defense and security customers through regional operations in Canada; the United States/Latin America; Europe/Middle East/Africa; and Asia/Pacific, all of which leverage the full breadth of CAE's capabilities, technologies and solutions.